The backbone of a nonprofit is its volunteers. I was once told that it takes many hands and many hearts to complete our mission. That is so true of many nonprofit organizations, including Wreaths Across America™. By working together, great things can be accomplished. Unity provides a strength that is denied to the individual. At Wreaths Across America, our strength lies in our volunteer system. We could not exist without it. When you think about it, volunteerism in America is as old as the country itself. It’s in the very fiber of who we are. From barn raisings to collective harvests to the creation of local schools, fire departments and hospitals, volunteering — to help a neighbor in need or those less fortunate, or simply for the common good — defines who we are as Americans. This civic commitment continues today in many forms: community involvement, fundraising, adult education, special needs assistance and environmental cleanup, to name a few. We’re a generous and giving people by nature, and faced with the opportunity to give back for all of the blessings we enjoy as Americans, many answer the call. The real challenge of creating a successful volunteer program is coordination — tapping into a vast pool of talent and expertise and matching the volunteer with the assignment that will produce the most efficient use of that person’s time and abilities, to best benefit the organization while keeping the volunteer active and engaged. People have as many different reasons to volunteer as there are opportunities to volunteer. Certainly, they all share a common desire to “give back”; they’re good-hearted people who want to help in any way they can. Many are looking to expand by meeting interesting, new people. Of course, many are drawn to causes that have touched them personally. Some are simply looking to fill a void in their lives or develop new skills. At Wreaths Across America, we have been blessed with a large, committed and dedicated group of volunteers. We’ve enjoyed substantial year-over-year growth in the number of active volunteers, and, frankly, sometimes I step back in amazement at how generous people can be with their time and resources. I suppose it began in 1992, when my husband, Morrill, owner of Worcester Wreath Company, had a surplus of 5,000 wreaths. He had the idea of taking them to Arlington National Cemetery and placing them on veterans’ graves. The experience was life changing, and before he left he vowed we would continue to bring wreaths to Arlington each December. We received some unexpected news coverage several years later in 2005, when a U.S. Air Force photographer took a photo of the 5,000 wreaths resting against the stones in a light snowfall. It was posted on the Internet with a poem, and, amazingly, went viral. By January 2006, we had received over 6,000 emails from people all over the country who wanted to participate and help — who wanted to be part of what we were doing. We were faced with trying to figure out how to organize a burgeoning volunteer force. Soon a second problem emerged. In addition to wanting to join our cause, people kept sending in donations — lots and lots of donations, which, of course, we couldn’t accept. We wound up hiring a person to return the money, along with an explanation of why we couldn’t accept it. Requests for wreaths and wreath ceremonies came in from all over the country. We were able to coordinate with the Civil Air Patrol, as well as groups like the Patriot Guard Riders, veterans organizations, the Maine State Society of Washington, D.C. and American Gold Star Mothers. By December 2006, things had changed dramatically. We formed a board of directors and Wreaths Across America became a 501(c)(3) in 2007. Since then, the volunteers have come to us in droves. We put together a program that clearly separated the Worcester Wreath Company from Wreaths Across America. The number of locations where we’ve held ceremonies has grown from 583 locations — including 24 overseas — in 2010 to more than 1,000 locations — including 27 overseas — in 2014. Our volunteer fundraising groups have grown in number from 1,100 active groups in 2010 to 2,047 active groups in 2014. Volunteers in donated trucks delivered every single wreath that was donated this past year to more than 1,000 locations nationwide. Volunteers organized every single ceremony held last year. All our volunteers come to us with a singleness of purpose. They all ask, “What can I do?” They all share in their gratitude to the brave men and women of the military who have sacrificed so much for the freedoms we enjoy every day. Whatever the reason they come together, and whatever the focus of your organization, it is important to help your volunteers verbalize exactly what it is they hope to get from their volunteer experience. Matching the volunteer to the appropriate task not only gets needed work accomplished, but it also satisfies the volunteer’s desire to feel needed and useful. In the case of WAA, this is successful because of the dedication of our location coordinators and fundraising groups. Having community members as “boots on the ground” is important. They know they do the lion’s share of the work. A shared cause that results in a shared accomplishment and sense of satisfaction will keep your volunteers coming back year after year. Avoiding confusion among volunteer ranks is also very important. Be sure to clearly define everyone’s roles and responsibilities. Provide training if necessary and emphasize that there are no small tasks — every aspect of their duties is important. Be clear on how much time is required to complete tasks and the importance of communication and commitment. Do not be afraid to delegate authority when appropriate. Be humble enough to realize that your volunteers may be experts in areas you are not, and let them put their talents and experience to good use. And provide lots of positive feedback. Fostering a sense of team is key. “We’re all in this together” is not a cliché. It’s human nature to want to be a contributing member of a larger whole, and the satisfaction it produces creates a sense of self-worth that is payment in itself. We all want to feel as if we’re making a difference. 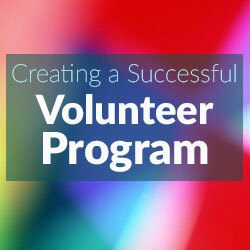 My last article “Tips to Having an Excellent Volunteer Program” assumed that volunteers were competent and cooperative. In my experience, most volunteers are. But in the real world, an occasional volunteer is neither competent nor cooperative. Begin by taking steps to improve performance. In nearly every case, it is more productive to improve performance that to take steps to fire a volunteer. Every volunteer (and paid worker as well) should have a supervisor. It makes no difference whether the supervisor is paid or not. Each special event, for example, should have a chairperson, and the individuals undertaking the various tasks to make the event successful should report to the chair. The first way to improve performance is for the supervisor to recognize the unacceptable performance and tell the volunteer how to improve it. For example, the volunteer may have had an important task e.g., driving an individual to a doctor’s appointment, and the volunteer did not show up. The supervisor quietly should tell the volunteer that in the future, if the volunteer has an assignment they can not make, they must notify the supervisor at least one day in advance. If the inappropriate behavior continues, the supervisor should document the behavior in at least three instances. Then the supervisor asks for a private meeting with the volunteer. The supervisor then tells the volunteer what acceptable behavior would look like. In many cases, the volunteer will state that the behavior will improve. The supervisor then thanks the volunteer and ends the meeting. In other instances, however, the volunteer refuses to change behavior. Remember the general rule. The volunteer represents the agency the same way the paid worker does. Unacceptable behavior should not be tolerated. Volunteers aren’t paid; not because they are worthless, but because they are priceless. As funding streams tighten and more non-profits rely on volunteers, it’s crucial that organizations are able to find the volunteers they need, keep them coming back and track their contributions appropriately. Whether you’re looking for a receptionist, marketing extraordinaire or friendly face for the seniors’ program, how you recruit your volunteers has a significant impact on whether you’ll find the volunteers you’re looking for. In your position description, have you clearly defined what you’re looking for, not just in terms of skills and experience, but time commitment too? 67% of Canadians don’t volunteer because they feel they don’t have the time to do so. Be sure to articulate honestly how much time, how often and over how many months, you expect the person to volunteer. Whilst evaluating this, it’s essential to be realistic and flexible in your expectations. Attempting to recruit a communications guru with 10+ years’ experience to volunteer three days a week at your office for the next year may not be likely as someone with such experience will likely be working during office hours and with a busy schedule, hesitant to commit for such a long period. Additionally how well explained is the position? Does the potential volunteer know what they’ll get out of it? That by volunteering as a Raffle Ticket Seller they’ll be taking part in your biggest fundraiser of the year and helping to raise $30,000 for a reading program that’ll give Adult Learners crucial literacy skills? Try asking a friend or colleague to read over the position and honestly say whether they’d be interested in doing it. If they wouldn’t, it’s unlikely the average person will want to either. 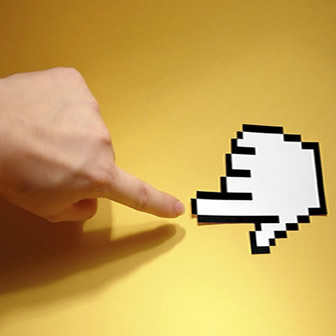 Their feedback will help you improve it and better articulate the position. Avoid being misleading though! Your local volunteer center is a great place to start as typically when people are looking to volunteer, if they haven’t already got a certain organization in mind, it’ll be their local volunteer center that they go to to be pointed in the right direction. Also volunteer fairs are a perfect way of getting in front of people who are already thinking about helping out. It doesn’t have to stop there though. Social media, your organization’s website, your newsletter, speaking at local schools, reaching out to different organizations are just a few ways of encouraging people to volunteer at your organization. And don’t forget word of mouth is still one of the most effective ways of advertising. Do your current volunteers and colleagues know about your most urgent volunteer needs? Ask them to help you spread the word. If you’re looking for someone with a specific skill that the average person doesn’t have – e.g. fluency in Dutch, Martial Arts teaching skills, ability to knit, extensive computer programming experience – be prepared to do some targeted outreach in specific communities and networks. Try local community groups, schools that teach that skill, professional associations, retail stores that the people may tend to frequent, to reach the types of people you are looking for. Firstly, low volunteer retention isn’t always a bad thing. Do you know why your volunteers are leaving? If not, ask! If the most common reason is that they were originally job seeking and have been offered a job, such situations can’t be avoided and your volunteer opportunity may well have contributed to their recent job success. However, in a situation where they have chosen to leave for reasons other than change of circumstances, it may be worth looking into your retention activities. A good place to start is knowing why each person has chosen to volunteer with your organization and what they hope to get out of it. A volunteer who wants to add to their resume to help them move up the career ladder and a volunteer who is simply looking to make friends and social connections will expect different things. Determining their motivation should be built into the recruitment process and revisiting it during periodic evaluations between the volunteer and their supervisor can be useful in ensuring they are getting what they want from their volunteering experience. Additionally creating an atmosphere where the volunteer feels included is essential. Knowing how their tasks help the organization achieve its mission is important, especially when the volunteer is not working directly with the organization’s clients and cannot see the immediate benefit of their time and efforts. Finally, whilst volunteer recognition should be an ongoing part of your volunteer program, specific times like National Volunteer Week are a great time to do something special for your volunteers and re-emphasize your appreciation. Once you’ve decided on the software that’d right for you, keeping on top on things like scheduling volunteer shifts, sending volunteers reminders and tracking hours for those all important reports will be a piece of cake. Many nonprofit agencies are relying more and more on the assistance of volunteers to run their organizations effectively. As with all others aspects of nonprofit management, planning is important to develop an excellent volunteer program. There is one essential theme. An excellent volunteer management program is no different than an excellent program for hiring paid workers. Of course, any personnel program begins with a detailed job description. Interview each applicant personally. Before the interview, ask for a resume. Make sure to tell the applicant to include recent volunteer positions. Ask for examples of volunteer tasks performed. Try to judge each volunteer’s temperament as well as skill levels. Conduct a two-part orientation. One part is the general orientation for all new volunteers. Make sure to include the agency’s history and services. The volunteer should meet the board chair and the executive director. Information given to each volunteer should include annual reports, agency brochures, and relevant board policies. Include a specific orientation about the tasks the volunteer will be asked to undertake. Allow plenty of time for questions. Make sure each volunteer knows what steps to take if he/she can not undertake a particular assignment. Make sure each volunteer has a supervisor. The supervisor can be either a paid staff person on a volunteer. The supervisor should be in touch with each volunteer at least once a month, either by phone, e-mail or in person. At every opportunity, the supervisor should thank the volunteer for their assistance. Provide opportunities for training for all volunteers. This should include periodic training at the office on topics of interest. Volunteers should have an opportunity to attend conferences and other training opportunities. Remember that thank the volunteers for their service. Volunteer recognition programs are always appropriate. Include volunteers in holiday parties and other celebrations. Make certain to keep records of the hours each volunteer spends assisting the agency. Note any problems and their solutions. Let each volunteer know that you will provide reference letters to schools, prospective employers, or wherever letters are needed. Meet with each volunteer at least once a year to thank them for their service and make suggestions for improvement. If a volunteer is creating problems, set up a private meeting with the volunteer and his/her supervisor. Tell the supervisor not to criticize the volunteer. Spell out in a positive manner how the problem can be solved. Be firm but fair. Tell the volunteer that if the problem is not solved, the volunteer may have to switch position within the agency. Every nonprofit organization should have volunteer development plan. It begins with a “job description” for every volunteer opportunity. The job description should begin by outlining the specific tasks the volunteer would be expected to perform. It would also include such items as the average number of hours required in a week. Must the work be done in the office or can it be done in he volunteer’s home? Have potential volunteers fill out an application form. The form would include previous volunteer efforts. It would also include a question about the volunteer’s skills and interests. Make sure to conduct an in-person interview with every potential volunteer. By asking good questions, you can get a sense of the applicant’s attitude as well as their skills. Do not accept any volunteer who has a negative attitude. Develop an orientation program for each new group of volunteers. One part would be information about the agency. Another would be specific information on the tasks assigned to each volunteer. Let each volunteer know what steps to take if they can not undertake an assignment. Make sure each volunteer has a supervisor. The supervisor would give each volunteer assignments and would give them the tools to help perform their tasks. Contact each volunteer on a regular basis, perhaps monthly or quarterly, to obtain any recommendations from them. Try to implement any recommendations they make. 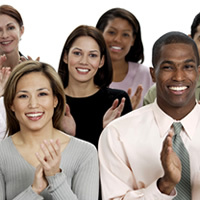 Encourage volunteers to attend training programs to improve their skills. Thank volunteers on a regular basis for their work, Thanks might take a form of a note to an individual volunteer or a recognition dinner for all volunteers. Keep careful records of the time spent by each volunteer and the assignments they have undertaken. This information will prove invaluable in giving the volunteers new assignments. 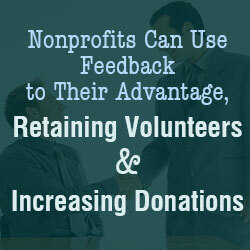 It is difficult to improve a nonprofits success without internal and outside feedback. It doesn’t matter what focus the nonprofit feedback is the backbone to success. One of the roles of a good founder or managers of a nonprofit is to improve performance and to make a difference. Understanding feedback and mastering method of what to do with it is an important part of a nonprofit being successful. By doing so it will attracted more donations and retain volunteers. Below we have outlined the steps of getting feedback and how to use the feedback to improve a nonprofits performance. To make feedback work effectively, these simple guidelines of getting feedback and using it to the nonprofits advantage will help. Listen effectively to feedback without giving an opinion, reason or clarity to the person giving feedback. A nonprofit staff will learn more from listening to the feedback then abrupt the converseation with why. Once you get the feedback clarify the overall direction and the strategy of the nonprofit to achieve its objectives and improve where the nonprofit seemed weak from the feedback. Invest time in developing and agreeing upon objectives and performance or goals with the team and or individuals to achieve better success moving forward. Concentrate on proprieties of work that needs to be done and delegate it. Manage effectively the work within the team to achieve better feedback in the near future.